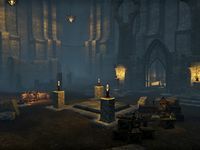 There are obvious similarities between Altmer architecture and that of their cousins the Ayleids, but there are clear differences as well. High Elven architecture is cleaner and more direct, with less baroque ornamentation than that of the Wild Elves. 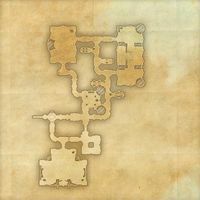 Ezduiin is an elven ruin in central Auridon, just northwest of the city of Skywatch. Ezduiin Objective:Aid Telenger and his students in the ruins of Ezduiin. 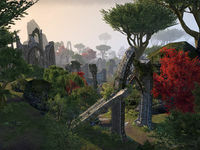 Naarcaano calls Ezduiin an Ayleid ruin, even though it was built by ancient Altmer. This page was last modified on 6 March 2019, at 23:39.